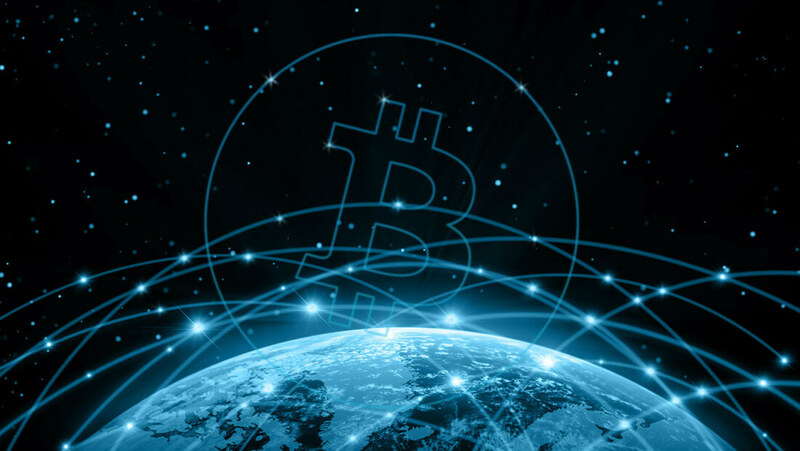 Bitcoins are one of the technological revolutions that have exceeded their expectations. Since 2014, Bitcoins price has been increasing exponentially, and for almost two years now, it has been trading at its highest rate. Bitcoin value is at its highest, moreover, not only bitcoin, but demands for cryptocurrencies have skyrocketed. Bitcoin, the notoriously volatile cryptocurrency is expected to continue in this trend, and financial experts are continually advising consumers to limit their involvement with bitcoin, as sooner or later the bubble may burst. However, that is just an opinion, besides, that’s what they said about the Internet back then. If you are curious about cryptocurrency trade, i.e., buying and selling. Here are some tips to avoid pitfalls like getting scammed off your hard earned money through bitcoin trade. Recent developments aimed at making bitcoin more robust have led to the improvement of bitcoin’s performance and thus making bitcoin transactions more reliable and safe for the consumer. In comparison to the previous years, novel technologies on bitcoin trading have made it easier for people to use and transact bitcoins. Making bitcoin more robust also makes it look more appealing to customers and investors alike. Bitcoin unique feature of coin mining is one great way to ensure the market is protected and only registered users can transact in cryptocurrency. New coins are discovered or “mined” and added into circulation. A record is inserted into the blockchain. The blockchain is a giant ledger that records all bitcoin transactions. In addition, bitcoin miners are rewarded in sets, usually 50 bitcoins per every successful mining operation. The practice was, however, halved due to the potential dangers of inflation in 2012. Now, after every sucessful mining operation, miners get 25 bitcoins. Once you sign up for a bitcoin wallet service, you become eligible to ‘mine’ bitcoin. However, you need a supercomputer, which is unrealistic, hence the need for third-party services. You’ll need to choose a service that is secure and efficient and the one you can use your smartphone as well as your computer. The next step after signing up involves linking your bank account together with the debit and credit card. As you link them remember to secure your trading account, use the new and improved feature called two-factor authentication. Bitcoin trading through Bitcoin ATMs require two-factor authentication: first, you’ll have to confirm your phone number via an SMS code, followed by your identity via a fingerprint or face scan, sometimes, palm vein scan. Once you’ve securely created your account, you can now start trading and investing in bitcoin. It should be pointed out that the bitcoin industry is a target for criminals and online scammers and you need to proceed with caution whenever you’re doing a bitcoin transaction. Scammers mostly use phishing attacks to trick consumers to visit websites that look official, but underneath is malicious. A phishing attack usually starts with fake but legitimate-looking emails, urging you to click on some link. You should be cautious of these emails. Fortunately, your email service provider has taken steps to mitigate such and antiviruses these days are introducing internet security features. Do not click on any links that look suspicious, when it comes to banking and online trading, ensure you do your transactions on the parent website and not through email or clicking outbound links. You can also bookmark your wallet service’s site to ensure you always log into the main website to do your transactions. All in all, it’s all about the end user, you, to stay safe and secure doing your bitcoin transactions you also need to be extra cautious on your part and don’t engage with weird and strange email requests. Moreover, scammers have dug their ‘thieving’ roots into the two-factor authentication system, and as such, the primary consideration would be to keep your identification information safe. Sometimes scammers call you saying they are from a certain company doing a survey or something similar and they will require certain information from you. You’ll need to be wary and avoid sharing such information or simply don’t engage with them at all. Don’t take unnecessary risks, protect yourself from scammers and be cautious. Bitcoin transactions, unlike bank transactions, are irreversible. Thus once the currency leaves your wallet, there is no way to track it down or demand a refund from the company offering the service. Another critical factor to consider when you are trading in bitcoin is where you can transact it. Bitcoin is a type of electronic currency, and it exists solely in that form. Thus, there are no tangible form of money exchange (deposits or withdrawls). Cryptocurrencies require special infrastructure to enable their use. Enter Bitcoin ATM, a web-based platform that gives consumers an opportunity to trade in bitcoin. In addition, Bitcoins ATMs can be used to exchange (buy and sell) Bitcoins. Bitcoin ATMs are most preferred since they collaborate with security features, i.e., the two-factor authentication. Furthermore, using bitcoin ATMs offer privacy levels that don’t expose you to scammers. When you purchase bitcoins via bitcoin ATMs there is not scrutiny as with financial institutions, your transaction is untraceable and as mentioned earlier, and this feature is a double-edged sword. Bitcoin ATM services are speedy, reliable and secure. Prior to its development, bitcoin has presented a variety of opportunities that didn’t exist. According to the IRS, bitcoin is a taxable asset, and this has clarified the situation for the investors. The promise of smooth value transfer suggests creative use in direct investment. In the coming years, much of the volatility in bitcoin industry and its increaded adoption, will be driven by investor perception. Bitcoin makes money transfer smooth, fast and affordable, traditional financial sectors need to do more to catch up with the bitcoin trend. Why don’t you get yourself started on Bitcoin trading and remember to employ these tips?